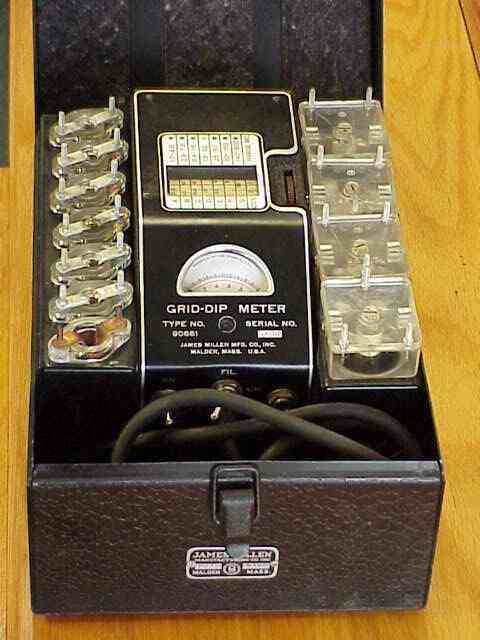 The Industrial Grade of the original 90651 Grid-Dip meter. It was built to higher accuracy standard versus the 90651 model with the coils sets selected and adjusted for each model. The unit show here also sports the low frequency coil set. The metal carry case shown here is labeled for a 90662 meter which is also an Industrial Grade dipper. This picture was supplied by Steve Russell. The meter was given to him by an "old timer" who has now passed on.